The Murderers are Among Us is a German film made in 1946, just after the end of World War 2. 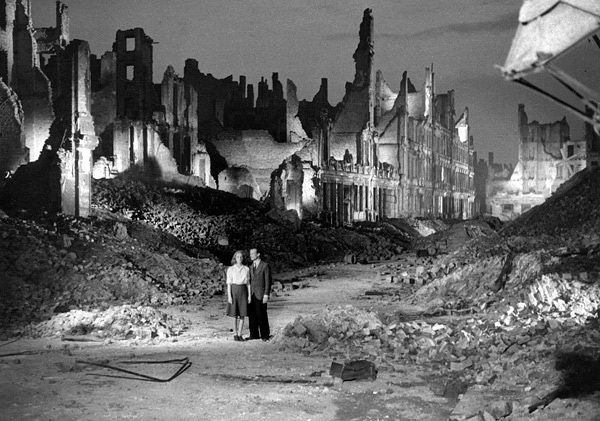 Much of it was shot on location in bombed out Berlin. It was the first Trümmerfilm – rubble film – movies made in the immediate aftermath of war amongst the rubble of defeated Europe. Scenes take place in the uncanny desolation inflicted on the great city by Allied saturation bombing. The plot follows a young concentration camp survivor who returns to her damaged apartment to find someone has moved in in her absence, a doctor traumatized by his war experiences. The film presents the hardship and material shortages of that time. 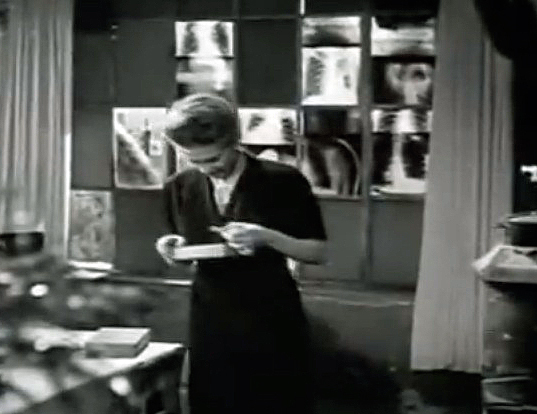 One unforgettable image is when the the doctor replaces the blown out window panes, not with glass which was unattainable, but with x-rays from a hospital. Bones provide a backdrop to their domestic life and frame the view of Berlin through the window.